Our range of folded bellows are designed as a non-stiched alternitive useful to avoid dust and liquid ingress into the bellows. The materials used in our folded bellows can range from aluminised glasscloth for high temprature usage to coated polyester fabrics. 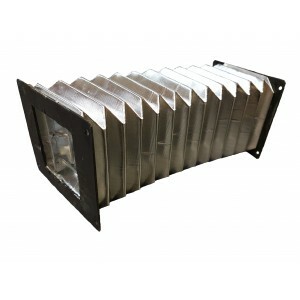 These bellows can be multi-layered to increase the effectivity to match any needs and requirements.